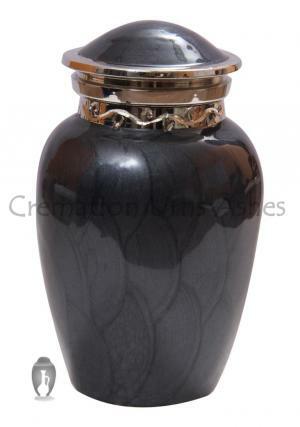 Mini keepsake urn is decorated in reflecting black crystal on a metallic urn. 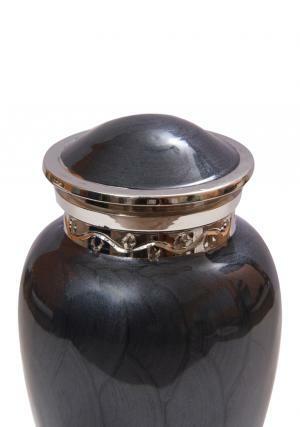 Small cremation urn is made of brass metal and curved by the skilled art works. 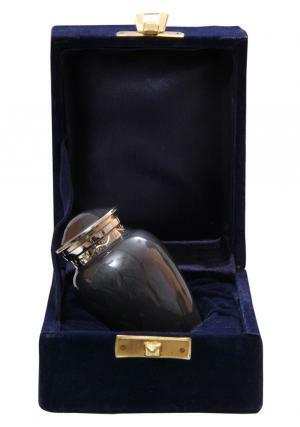 The art work incorporates their skill to perfection and the mini funeral urn has a flowers garlanded around the neck with finishing in metallic nickel. 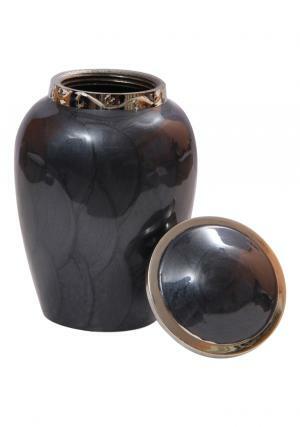 The small cremation urn is decorated around in sand waves beautifully with connecting lid in nickel finish. 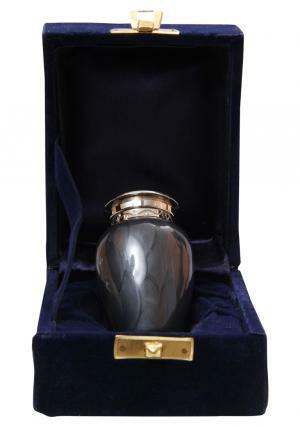 Memorial urn incorporates with the use to store human memorial ashes in a tight secure threaded led on the top. The preserving of ashes shows them respect that is given after death of one. As the urn is designed to store minimal ashes in it which would be a great deal to spread love among members of the family. 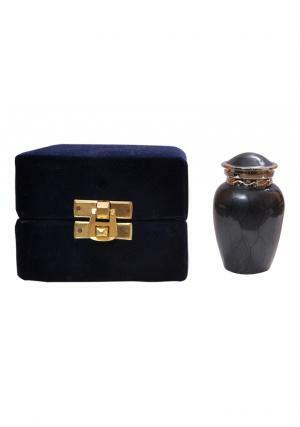 Memorial urn holds upto 3 cubic inches of ashes and dimension of this urn is 2.95” inches height, 1.77” inches width and weighs 0.18 kg.